Longer time lurker, first time poster. Here's the situation I'm looking for advice/opinions on a new stovetop moka that works on induction. 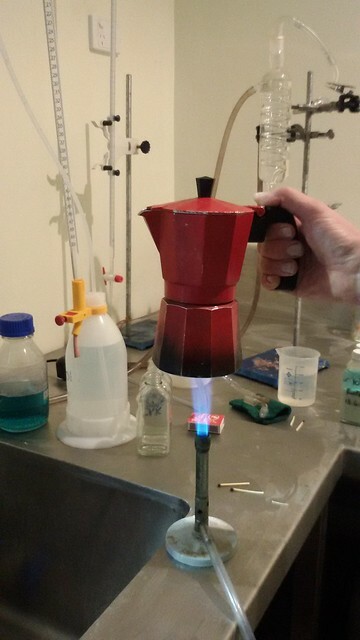 Previous to having induction I used Bialetti Brikka on gas (https://www.bialetti.com/coffee/stov...-c-1_7_24.html), which i loved. Loved the crema (I know it's not a true crema), loved the way it brewed and loved the way it tasted. When we upgraded our kitchen and went induction, I purchased the Bialetti Venus (https://www.bialetti.com/coffee/stov...-c-1_7_21.html). Although I have never been satisfied with the brew I get from the venus and have ongoing issues with the pressure valve not working properly. I've hit up the retailer for a replacement because of the valve issues,but now I am looking for some different options. I have spent some time reading previous posts and reviews (this one being my favourite https://coffeesnobs.com.au/brewing-e...ess-steel.html), but still after e advice. One good option looks like the Bellman cx25p but it shows to use induction must be suitable for 304 grade stainless. My cooktop I am unsure is suitable (https://www.winningappliances.com.au...ions-Sheet.pdf). I realise you can purchase the compatible induction cooker separately, but if I did that, I may as well just buy a small gas cooker and go back to the brikka... which is of course an option, just not my ideal one. The other possibility, which I have read about once, but unsure if it will work, is using the a SS base, with a brikka top... the issue is figuring what sizes will match. Has anyone done this before? Any other (not so expensive) options? Your best option is to purchase an induction adapter. For this Google is your best friend. A one or two ring camping stove could be your other solution. These can be picked up very cheaply at Big W or K Mart. When I use my Bialetti, I much prefer using gas over electric. Electric's a pita to say the least. A one or two ring camping stove could be your other solution. Thanks for the suggestion. Yes, I already have a gas camping stove, but before I revert back to that option (undesirable), I'm looking at alternative options for induction compatible. Electric's a pita to say the least. 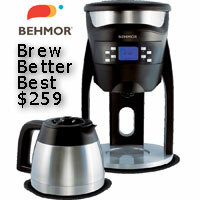 Does a great job and produces excellent coffee. Needs must as the devil drives. No idea where you can get one in Oz, however my Rommelsbacher's are German made (very) high quality stainless. Bought in for me Germany by a fellow coffee fiend. BTW, avoid the clear one - it is plastic and destroys the flavour. Stay with all Stainless. They are similar to an electric kettle as they have their own "mains plate" under the unit. Controlled by a microprocessor I suspect, as you just fill the lower bit with water, fill the basket (I have both 3/6 and 2/4 cup versions) up to the mark and "hit the go button". Pretty tolerant of different grinds. Best and easiest "moka pot" I know- I have a few Carmencita's (original stainless steel version) in my shed - at my best I can equal the Rommelsbacher via a manual process, mostly the Rommelsbacher does it better. Yep, I also have an inductor stove and my favourite "Carmencita knock off" is 316 stainless. Non-magnetic so it cannot work on my stovetop anyway, which is why I ended up with my Rommelsbachers. The knockoff also beats the my Carmencita originals. Last edited by TampIt; 2 Weeks Ago at 02:12 AM.